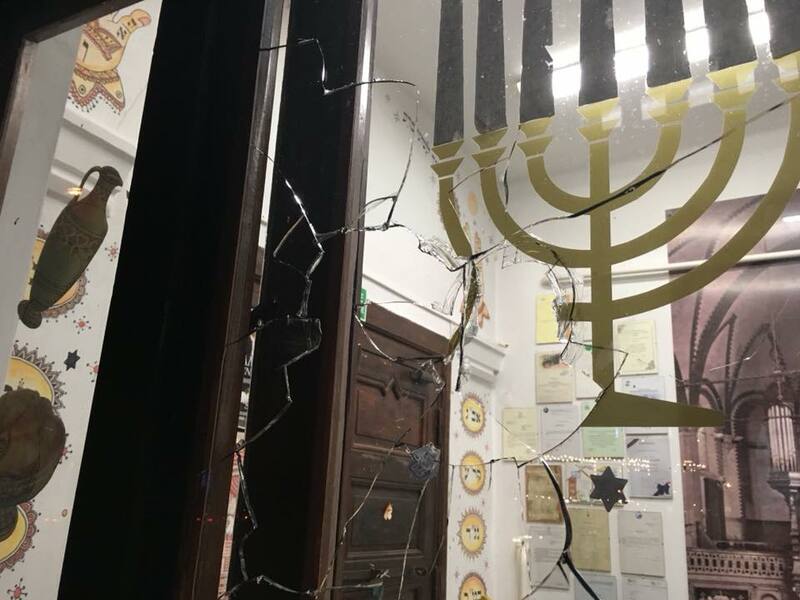 Unidentified individuals hurled a rock into a synagogue in Gdansk in northern Poland, shattering the glass of one window while worshippers, including children, were inside. The assault on Gdansk’s New Synagogue occurred on Wednesday, during Yom Kippur, one of Judaism’s holiest days, the Jewish Religious Community in Gdansk wrote on its Facebook page. The rock fell “in the atrium where women waiting for neilah — the final prayer of Yom Kippur,” the statement read. “There were children around. The rock flew several centimetres from where women were standing.” No one was hurt in the incident. Police are investigating the incident, the statement also said. 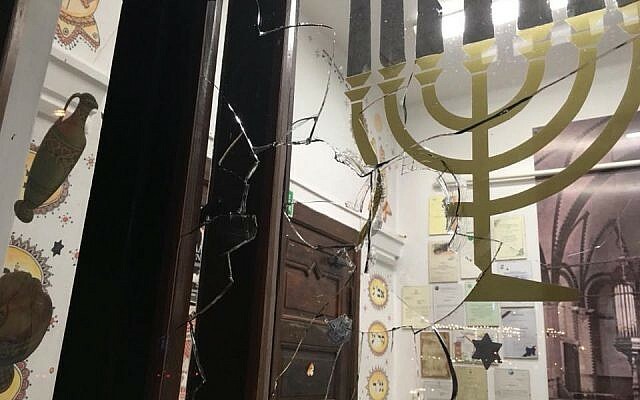 The community in its statement said the incident recalled the actions of ultra-nationalists in the 1930s, who “would often target synagogues on Yom Kippur,” the text read. But such attacks are very rare in Poland today, where documented anti-Semitic incidents are mostly verbal. In Poland, which is home to some 20,000 Jews, Deputy National Prosecutor Agata Gałuszka-Górska in May said that the number of anti-Semitic incidents had dropped by 30 percent, to 112 last year from 160 in 2016. Anti-Semitic hate crimes accounted for about 6 percent of all hate crimes recorded, she said. In November, 60,000 people attended a nationalist march in Poland that featured anti-Semitic and anti-Muslim rhetoric. Some local Jews say the government is tolerating ultra-nationalism that elevates the risk of anti-Semitic violence. But other leaders of Jewish organisations in Poland dismiss this claim. Opposition by Israel and Jewish groups to Poland’s passing in January of a law that criminalises blaming the Polish nation for Nazi crimes has fueled fresh reports of rising anti-Semitism in Poland.